Mrs. Meera Isaacs is the Head of the Cathedral and John Connon School, Mumbai. Out of the 41 years at the school, she spent over 21 years as Head of School. 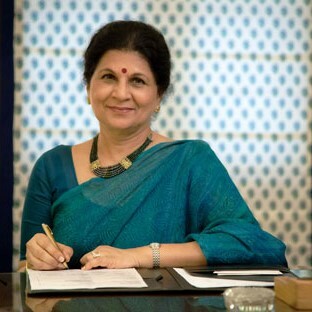 As the first lady Principal of this 158-year-old institution, she is an educationist at the core- with the child as the focus of all the educational activities so that an assured and confident individual emerges, who is able to evolve skills and strategies to deal with the dynamic environment. Mrs. Isaacs received the “Women Achievers Award” at IMPACT 2017and the National Award from the President of India (2004/5). These are among two of several award for Excellence in Teaching and Leadership. Under her leadership, the school started the International Baccalaureate Diploma Program (2015) and Advanced Placement (2001) along with the already existing Indian School Certificate Program.